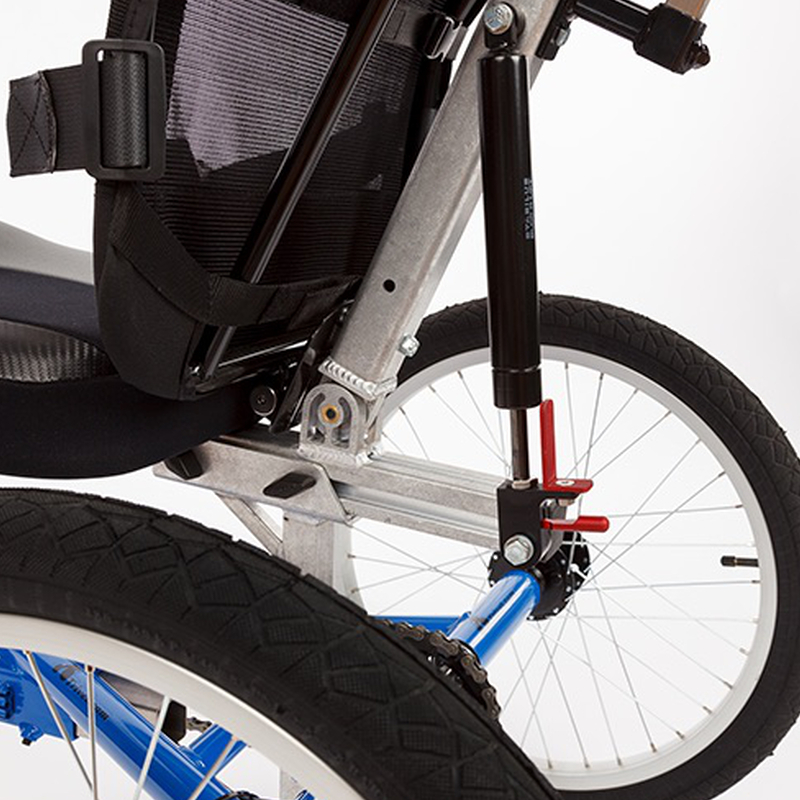 The Trivel T250/350 is one of the most adaptive special needs trikes. It is light, easy to adjust and has the longest life cycle on the market. 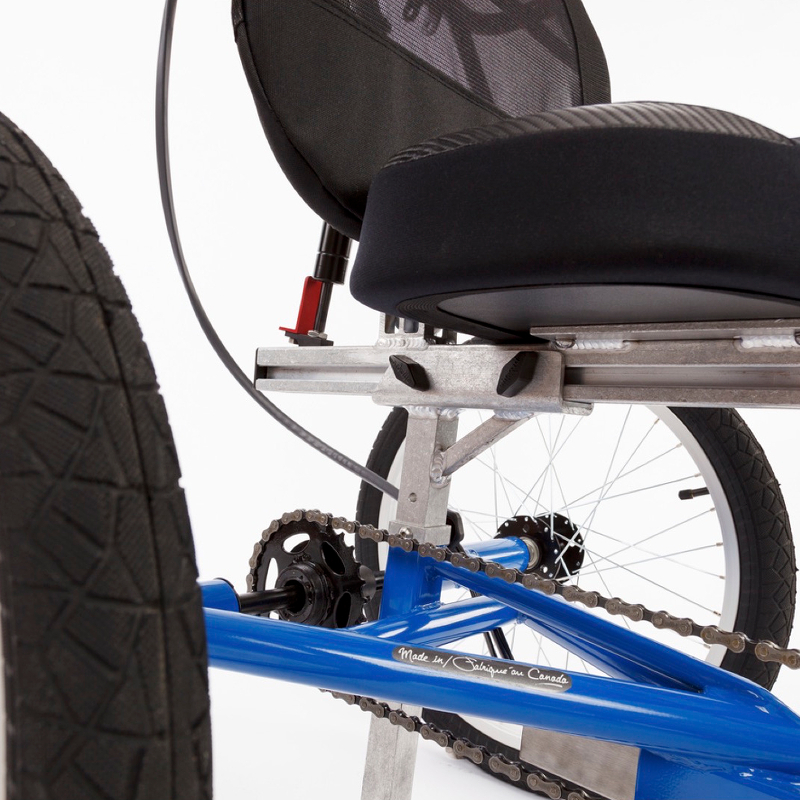 The T250 trike can last a child from ages 4 up to 10, thanks to the easy adjustability, and the addition or removal of components that allow the trike to grow with its young owner. No tools are required! Once the child is 10 or 11 years old, the T350 can then take it from there and suit the child all the way up to adulthood; this means a parent or caregiver will only need to change trikes twice during a child’s growth to an adult. With a total width of 30”, the T250 can easily fit through any standard doorframe, whether it be it at home, at school, or in a rehabilitation centre. 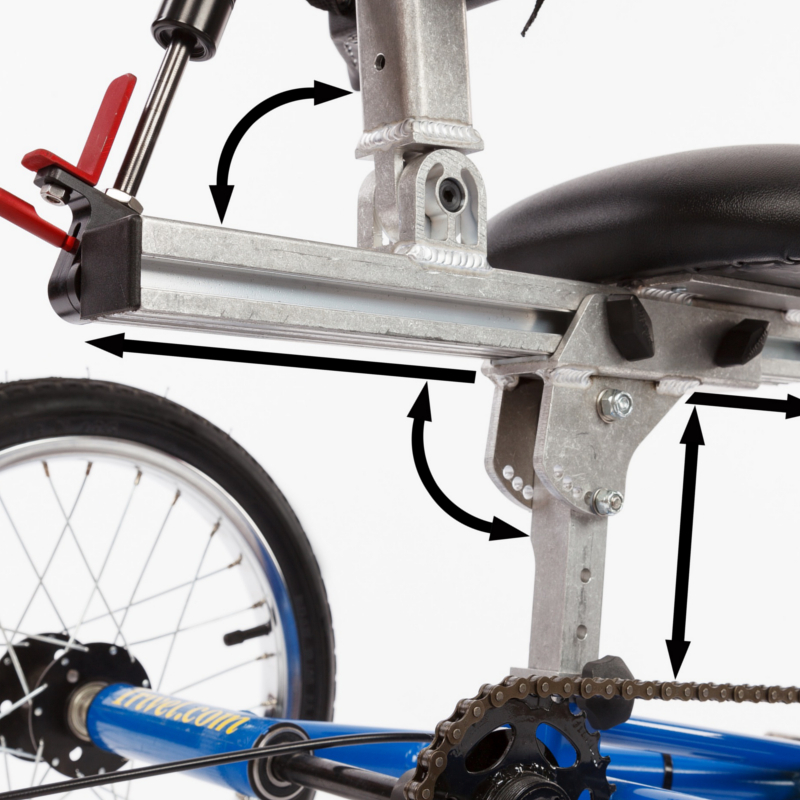 Moreover, it has simple disassembly mechanisms that allow you to disassemble and fit the trike in your car. Both the T250 & T350 are designed to help disabled kids reach their therapeutic goals, improve their coordination and strengthen their muscles, while having fun and riding along with their friends and family -- just like any other kid. You can easily switch between fixed or freewheel gearing systems with a simple mechanism. 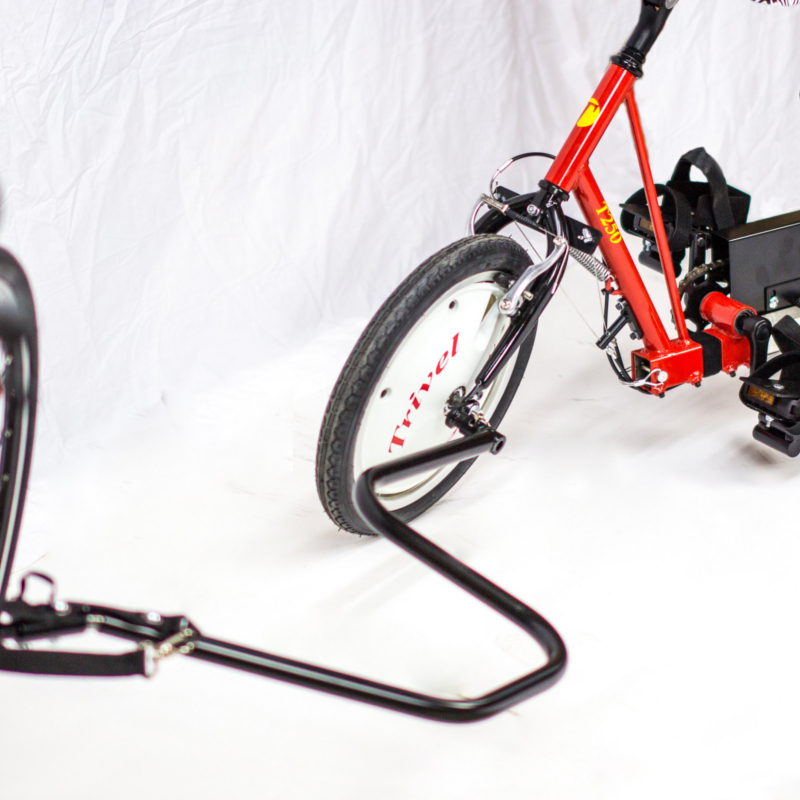 The Freewheel function will allow you to pull the trike with an optional tow bar installed behind a regular bike if needed. There are more than 20 adjustable options to suit any child's specific needs. 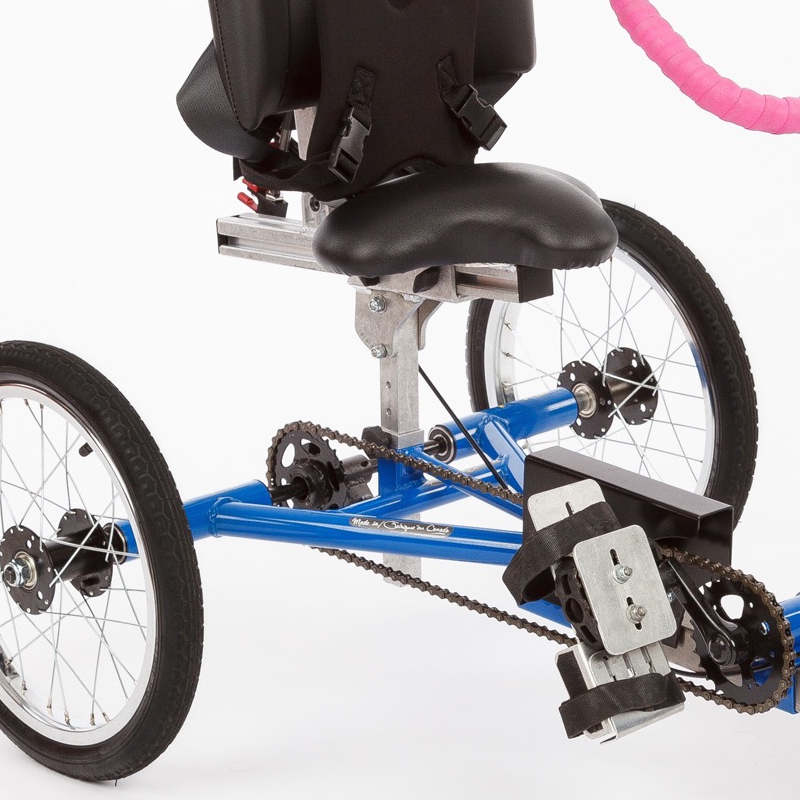 This adaptive tricycle is available in Red, Blue or Purple frame color.